Microsoft Sell My Microsoft Surface Book with Performance Base 1TB Intel Core i7 1 in Used Condition for 💰 cash. Compare Trade in Price offered for working Microsoft Surface Book with Performance Base 1TB Intel Core i7 1 in UK. Find out How Much is My Microsoft Surface Book with Performance Base 1TB Intel Core i7 1 Worth to Sell. Compare prices for your Microsoft Surface Book with Performance Base 1TB Intel Core i7 1 from UK's top mobile buyers! We do all the hard work and guarantee to get the Best Value & Most Cash for your New, Used or Faulty/Damaged Microsoft Surface Book with Performance Base 1TB Intel Core i7 1. Want to Sell your Microsoft Surface Book with Performance Base 1TB Intel Core i7 1 later? Find out how much your used Microsoft Surface Book with Performance Base 1TB Intel Core i7 1 is worth and select your prefered buyer. Complete checkout process on recyclers website and send them your Microsoft Surface Book with Performance Base 1TB Intel Core i7 1 to sell. After your buyer receives the Microsoft Surface Book with Performance Base 1TB Intel Core i7 1, your cash is deposited into your account or payment will be sent via prefered payment method. How do I select a recycler for Microsoft Surface Book with Performance Base 1TB Intel Core i7 1 for sale? You can decide based on the price paid for your Microsoft Surface Book with Performance Base 1TB Intel Core i7 1, ratings of recyclers, their payment time and method. How will I send my Microsoft Surface Book with Performance Base 1TB Intel Core i7 1 to recyclers? Which i get a mail pack? Yes, Some of the recyclers sends you their postage pack if you select on their website at checkout screen. We prefer you securely pack your Microsoft Surface Book with Performance Base 1TB Intel Core i7 1 and send it via recorded post. When do I get paid for my Microsoft Surface Book with Performance Base 1TB Intel Core i7 1? After your buyer receives the Microsoft Surface Book with Performance Base 1TB Intel Core i7 1, your cash is deposited into your account or payment is sent via your prefered payment method such as cheque. What is my Microsoft Surface Book with Performance Base 1TB Intel Core i7 1 worth? Today, the most cash you can get for your Microsoft Surface Book with Performance Base 1TB Intel Core i7 1 is £176.00 paid by Fone Bank UK. That is the highest value for this mobile today online. Yes, If you send your parcel insured with a reputable courier then your phone is safe and insured. Also check recyclers rating before choosing to sell your Microsoft Surface Book with Performance Base 1TB Intel Core i7 1 for cash to them. Sure you can. If recyclers of Microsoft Surface Book with Performance Base 1TB Intel Core i7 1 is also buying your other device then you can just place an order for both items together and send them out for tradein. How to get the best price when recycle your Microsoft Surface Book with Performance Base 1TB Intel Core i7 1 and get paid cash with UK Mobile Recyclers Online? I want to sell my used Microsoft Surface Book with Performance Base 1TB Intel Core i7 1. How much can I sell it for? Fone Bank UK and 1 other recyclers will pay you £176.00 for your used Microsoft Surface Book with Performance Base 1TB Intel Core i7 1. You can also check if they buy faulty/damaged Microsoft Surface Book with Performance Base 1TB Intel Core i7 1. Can I sell my broken Microsoft Surface Book with Performance Base 1TB Intel Core i7 1 for cash? Yes, many Mobile Phone Recyclers pays you top prices for your old mobile phone even if it does not work. You can simply select faulty/damaged and get paid top prices for your faulty/damaged Microsoft Surface Book with Performance Base 1TB Intel Core i7 1. How many Microsoft Surface Book with Performance Base 1TB Intel Core i7 1 can I sell to Online Phone Recyclers? You can check on recyclers website to see if they buy Microsoft Surface Book with Performance Base 1TB Intel Core i7 1 and pay you cash for your Microsoft Surface Book with Performance Base 1TB Intel Core i7 1. What do I send when I sell my Microsoft Surface Book with Performance Base 1TB Intel Core i7 1 for cash? Its a very simple process, all you need to do is add your Microsoft Surface Book with Performance Base 1TB Intel Core i7 1 to the basket and complete their checkout process to place an order. 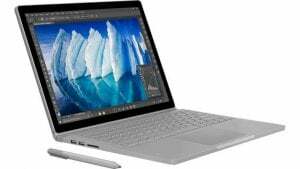 Compare prices for Microsoft Surface Book with Performance Base 1TB Intel Core i7 1 Mobile Phones to check how much does Online Mobile Phone buyers will pay you today. What stores buy used Microsoft Surface Book with Performance Base 1TB Intel Core i7 1 phones for cash? Recyclers, like & Simply Drop offers online trade-ins for Microsoft Surface Book with Performance Base 1TB Intel Core i7 1. You can get up to £176.00 online if you recycle your Microsoft Surface Book with Performance Base 1TB Intel Core i7 1 today with Fone Bank UK as they seems to pay the top price which indicates they have a huge demand of these second hand, used or even faulty Microsoft Surface Book with Performance Base 1TB Intel Core i7 1. What is the best price for Microsoft Surface Book with Performance Base 1TB Intel Core i7 1 if i want to buy it online? You can compare prices for Microsoft Surface Book with Performance Base 1TB Intel Core i7 1 online with UK Price Comparison. Not just that you can even compare prices for and save hundreds of pounds every week by getting the best retail deals and price with UK Price Comparison. With Online Mobile Phone Buyers you can easily search, compare and get the best price for your Microsoft Surface Book with Performance Base 1TB Intel Core i7 1. To see the price you are getting for your product simply search by using our smart search fields. Sell your Microsoft Surface Book with Performance Base 1TB Intel Core i7 1 instantly and receive the exact value of your gadget along with the value of the current time! Your trust is cherished and your gadgets is valuable as we try to get the best quoted price for your old, new, faulty/damaged or unwanted Microsoft Surface Book with Performance Base 1TB Intel Core i7 1. Thank you for choosing Sell Any Mobile to compare recycle your Microsoft Surface Book with Performance Base 1TB Intel Core i7 1, you can also add more to the cause by informing your friends in about us.